Pumpkin Spice Muffins are so flavorful, have a tender texture and are so moist! 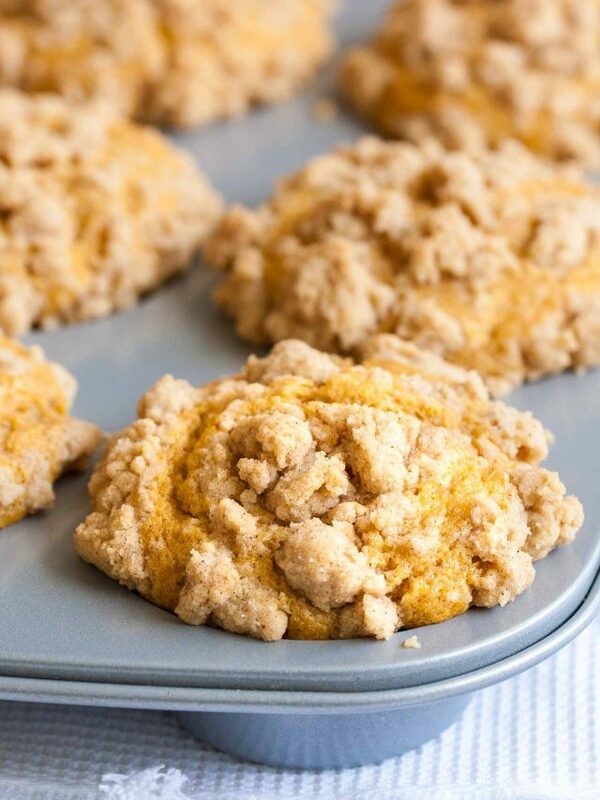 Topped with crunchy pumpkin spice crumbs, these pumpkin muffins are not only quick and easy to whip up but also so delicious and loaded with pumpkin flavor. A perfect fall recipe! Pumpkin Spice Muffins are one of my family’s favorite fall breakfasts! They are super easy to make from scratch and you don’t even need a mixer for this quick recipe. They bake up with high tops just like those fancy muffins from your favorite bakery or coffee shop and will fill your home with cozy fall aromas. No need for lighting your favorite fall candle, these muffins will make your home smell amazing! 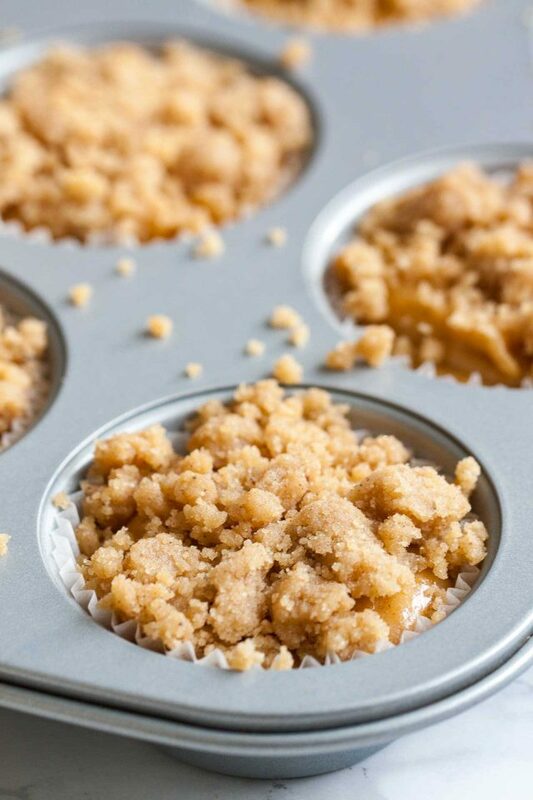 They not only smell amazing they also taste amazing and the flavorful streusel on top makes them even more delicious. An easy pumpkin muffin recipe that tastes delicious for breakfast, brunch, or as a snack! 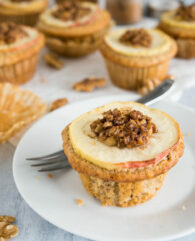 I prefer to use muffin liners for this recipe! The muffins will come easier out of the pan and are easier to store. These muffins are super moist so they are more likely to stick to the pan when you don’t use liners. Don’t over-mix the batter! This is important for every muffin recipe. To ensure that your muffins are light and fluffy mix the dry ingredients with the wet ingredients until just barely combined, and no more dry flour is visible. , 1 teaspoon ground ginger, 1/2 teaspoon ground nutmeg, and 1/2 teaspoon ground allspice. Don’t let the muffins cool down in the muffin tin! The hot muffin tin will continue to bake the muffins and you might end up with drier muffins. Give the muffins a couple minutes to cool off, then remove them from the pan and transfer them to a cooling rack. 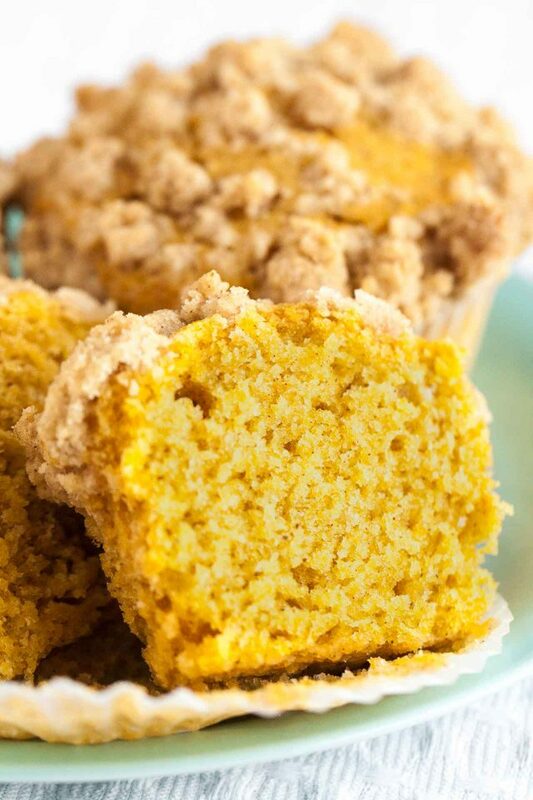 Can you freeze Pumpkin Crumb Muffins? This recipe makes exactly 12 muffins. Many muffin recipes make more but almost never enough for two whole pans. That means you always have to fill the empty cups with water to get evenly baked muffins. I hate that and that’s why I always try to have enough batter for 12 muffins. For this recipe, I fill all my muffin cups to the rim. A 1/3 measuring cup works best for dividing the batter between the cups. Spray it with a little bit of oil spray and the batter will easier slide out of the cup. Filling the muffin cups to the rim produces beautiful bakery-style muffins. 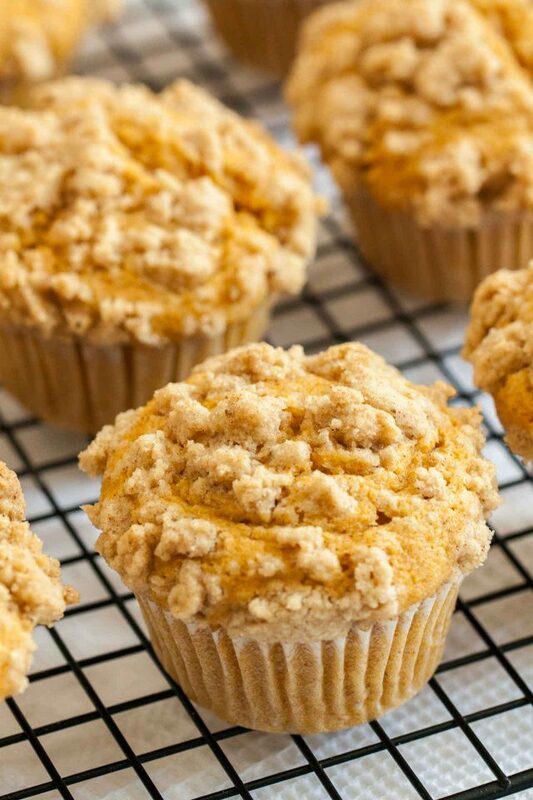 The pumpkin pie spiced crumb topping makes these muffins even more delicious! I prepare it before I start with the muffin batter even so it gets added last because the muffin batter shouldn’t sit too long after mixing it. The baking powder starts doing it’s magic when it gets wet so you better work quickly if you want fluffy and tender muffins. 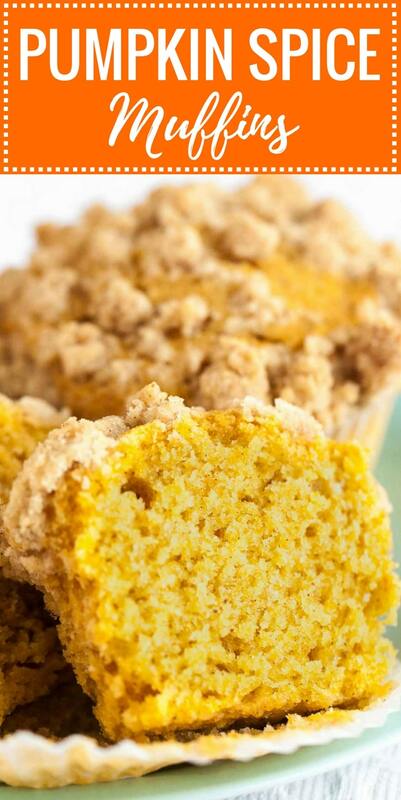 Adding a little bit of pumpkin spice to the crumbs makes these muffins extra flavorful! Can I use a muffin recipe to make a loaf? 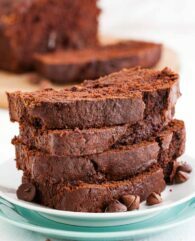 Did you know that you can easily convert muffin recipes to loaf recipes? To convert a muffin recipe, set the rack in the middle position instead of the lower position and decrease the oven temperature by 50 degrees if the muffin recipe uses a really high temperature. Bake the loaf until a toothpick inserted in the center of the loaf comes out clean or only with few moist crumbs attached, 50 to 65 minutes. If the muffin recipe has a sugary topping like streusel the quick bread should be tented with aluminum foil during the last 20 minutes to prevent them from getting too dark. Look how pretty these turned out! The crumb topping adds some crunch and the pumpkin keeps them moist and fresh for several days. This is really the best pumpkin puree! 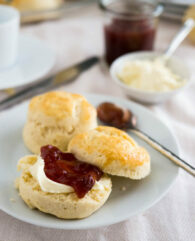 It has a silky consistency and subtle sweetness. I always use this one!! Pumpkin Spice Muffins are so flavorful, have a tender texture and are so moist! 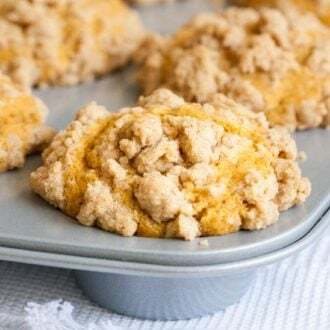 With a crunchy pumpkin spice crumb topping, these pumpkin muffins are quick and easy to whip up and have a great pumpkin flavor. A perfect fall recipe! Preheat oven to 375°F (180°C) and line a 12-cup muffin pan with muffin liners. To make the topping: In a small bowl combine flour, sugar, pumpkin spice, and a pinch of salt. Add melted butter and stir until combined. Set aside. 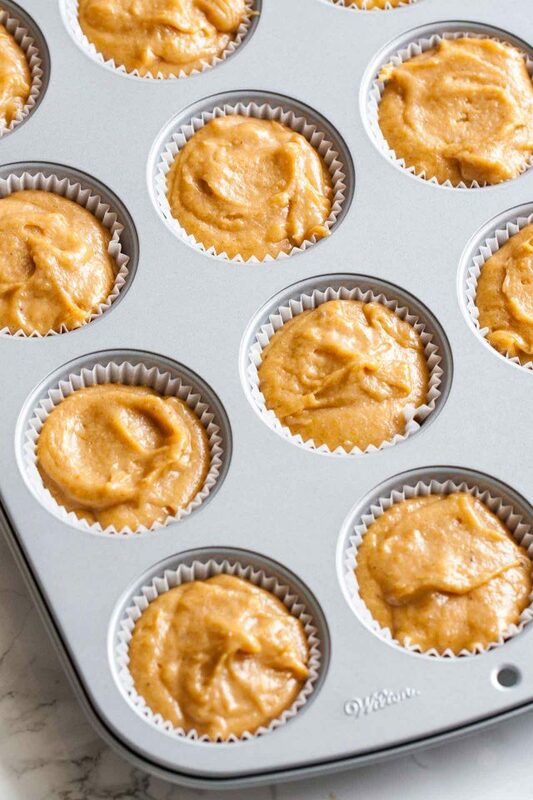 To make the muffins: In a medium bowl combine flour, sugar, baking powder, pumpkin spice, and salt. Set aside. In another bowl whisk together pumpkin puree and melted butter. Add the eggs and buttermilk, and mix until combined. Using a rubber spatula stir flour mixture into wet ingredients until just combined and no flour pockets remain. Don't overmix. Grease a 1/3 cup measuring cup and use it to portion 1/3 cup batter into each muffin cup. The muffin cups should be filled to the rim. Sprinkle 1 tbsp of topping over each muffin and bake muffins for about 25 minutes or until a toothpick inserted in the center comes out clean. Transfer the pan to a wire rack and let cool for 10 minutes. Then remove muffins from the pan and let cool on the rack for a few more minutes. Pin this Pumpkin Spice Muffins recipe for later! That crumble topping has me drooooling like a fool over here. These muffins look INCRED!